Following on from the last blog post on Strathspey playing I have managed to get some great information from Richard Hawke, Pipe Major of Canterbury Caledonian Pipe Band and Gold Medallist. He kindly passed on this information after discovering it some time ago – it was written by Lorne Cousin (Madonna’s Piper!) and Richard has re-worded it slightly to suit his style. This article is written from the solo player’s perspective and is intended to assist the piper to bring out the musical and enhance his or her technique when performing this most classic idiom of bagpipe music. Generally speaking, the points will be relevant to pipe band playing although it should be noted that bands play Marches, Strathspeys and Reels at a faster tempo. This is not a criticism, merely an observation. In other words the Strathspey is unique to the Highland Bagpipe in the world of music in its rhythm and expression. It is in Common or 4/4 time. There are 4 quarter notes (or crotchets) to the bar and four beats to the bar. The dotted noted should be held and the cut notes cut quite markedly giving a bright, bouncy rhythm. The tempo amongst competitors varies from 114 to 120 BPM. To reiterate, the Strathspey is a dance tune and should be played as such. It is generally accepted that the accent should be “Strong, weak, medium, weak.” This however is very hard to produce in reality and the best course is perhaps to put the strongest emphasis on the first beat of each bar. The bouncing ball analogy is often used to highlight the lift or bounce that good strathspey rhythm should produce. A good method of improving your strathspey playing is to play for Highland dancers particularly experienced ones. A regular even beat is essential, and any expression should never compromise this. Lots of KP2 drum sticks Red, Blue, White, Black and original. Tyfry tenor mallets – special offers and all colours ready to ship. Remo Drum heads – Powermax Bass and Tenor heads, Cybermax Snare drum heads and Ambassador heads. Andante percussion – 100s of drum sticks in stock – Reid Maxwell, pb1 and Pb2 models. Core Tec drum heads. Carriers – Jim Kilpatrick bass and snare carriers in stock, KP Drum Stands for pipe band drums, TG Andante Carriers, Hosbilt tenor slings and TyFry tenor slings. Suppliers for Pearl, Premier, Andante and hosbilt drums. As always, Palmy North put on a fine day of rain and gale force winds – perfect weather for bagpipes and drums! 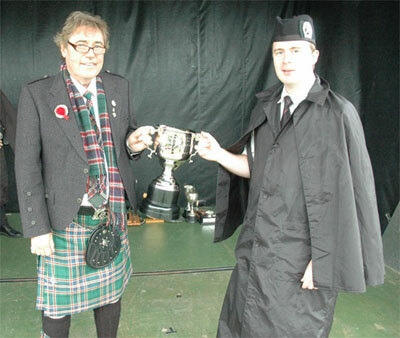 The Auckland and District Pipe Band won the contest overall, with two competitive performances. The other Grade 1 bands also competed fiercely for the other three spots. Canterbury Caledonian Pipe Band won the ensemble award and also took the drumming title. In Grade 2, Manawatu No.2 got straight firsts from all judges with Hamilton Caledonian Pipe Band finishing second. This is set to be a great contest at the Nationals in Timaru, with the addition of a few other Grade 2 bands including Invercargill Pipe Band and St Andrews College Pipe Band. Thanks to Jenny Mair and her team for hosting yet another fantastic Square Day contest. Well done to all of the bands involved! Brought to you by http://www.come2drum.com your pipe band drumming supplier and educator. 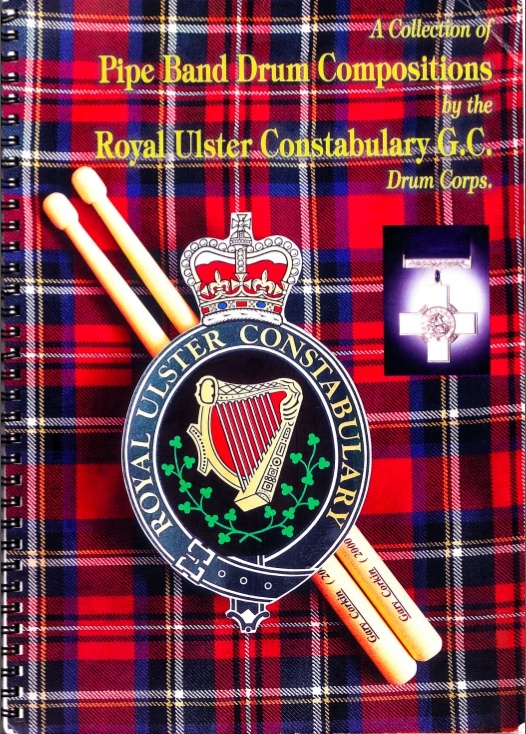 For all of you pipe band drumming enthusiasts out there, you can now download the Pipe Band Drumming Compositions Book by the RUC Drum Corps. Featured composers include the late Bobby Rea, Gary Corkin, Robert Holland and other drummers from the RUC drum corps. The RUC Drum corps became World Champions in 2000 at the World Pipe Band Championships – they are renowned as one of the Worlds finest drum corps’. Some personal highlights from the book – Bobby Rea’s Lord Alexander Kennedy, his score for the Cameronian Rant and Robert Holland’s Cathy’s Willie Reel that featured in the Worlds Medley of 2000. These scores are ideal for the intermediate and advanced Scottish drummer, many of todays top professional pipe band drummers are playing these scores. You can now download the book instantly from www.come2drum.com or you can even just download one chapter at a time. I hope you all enjoy these top pipe band drum scores. Brought to you by http://www.come2drum.com – Your pipe band educator and Scottish drumming supplier. Many people often ask “what is the difference between the snare drum, the big drum and the other drum!?”. Well, each of the drums within the pipe band has a unique role and function. The Scottish Side Drum ( also known as the scottish snare drum, the high tension side drum or the pipe band snare) is the high-pitched drum with a very high-tension system. The top head is made of Kevlar (Remo Cyber max and the Andante Core Tec are the two main brands) and the bottom head is made of mylar(Remo Ambassador is the main brand). The key drum manufacturers are Andante Percussion, Pearl and Premier. They all make a great drum but they all offer different benefits. The Scottish Tenor Drum is a much lower and richer sounding drum than the side drum. It is also played with different mallets (the TyFry Tenor Mallet is the most commonly played mallet universally) that produce a much softer and more subtle sound. Tenor drummers also create a very cool visual effect by flourishing or “twirling” the sticks. Check out this video to see for yourself. Both the top and bottom head are made from mylar (Remo PowerMax and Aquarian Hosbilt are the main brands). The Scottish Bass Drum – this is a much larger (usually 28″ by 16″) drum and produces a very rich and deep sound in comparison to the other drums. Again, this drum is played with a mallet – much softer than the side drum sticks. The Bass drum is considered the “heart-beat” of the band. Both heads are also made of mylar and are often decorated with logos. 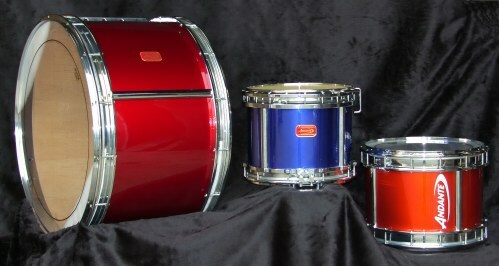 Hosbilt, Andante, Pearl and Premier all manufacture quality bass drums. So what is available to those who want to learn more about Scottish drumming? Learn Pipe Band Drumming Book and MP3′s – Available as an INSTANT DOWNLOAD or a hard copy book. The perfect start for any snare drummer. 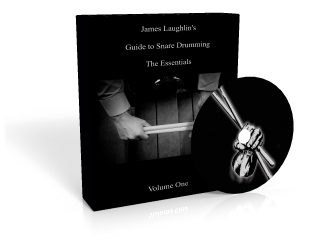 Whether you are an absolute beginner, an intermediate player trying to improve the basics, or a drummer with a different background dabbling in scottish drumming for the first time, this 65 page e-book and 43 track MP3 accompaniment outlines snare drumming from the very basics of learning how to hold the stick, understanding basic theory, developing basic rhythms, mastering the essential rudiments and learning your first drum settings. The collection of pipe band drum scores are all composed by James Laughlin. James focusses strongly on the ensemble aspect of composition, all drum scores match and enhance the bagpipe melody to offer the listener a balance of excitement and swing. Click on your favourite pipe band drum score and have it instantly in your inbox with a clearly written drum score, and a high quality recording! Online Pipe Band Drumming Lessons – Scottish drumming lessons available to anyone in the World who wants to enjoy quality tuition from a World Champion drummer. 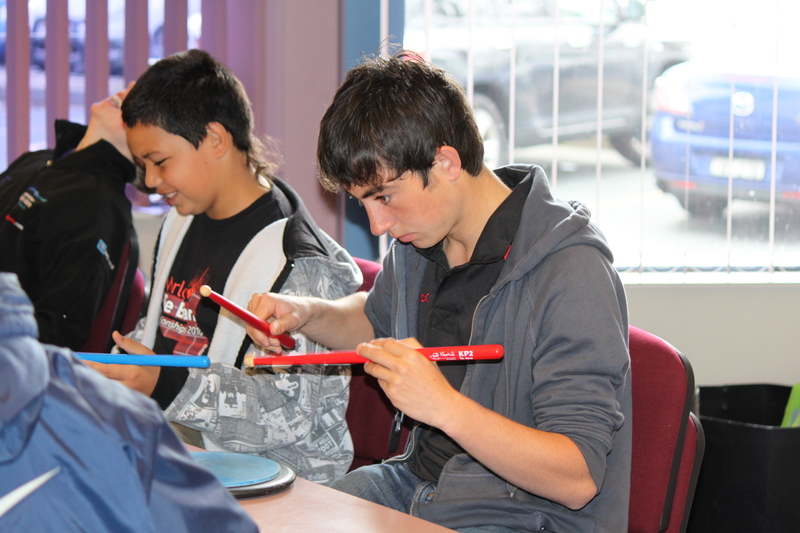 The drumming lessons are performed over Skype with web cam and mic – the results have been amazing!